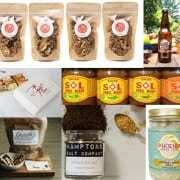 Local Specialty Foods made and sold in Atlanta! PREP Atlanta removes the barriers to entry for entrepreneurs who want to start a specialty food business. Today I had the pleasure to meet with Greg Hutchins and Robin Santos at Candler Park Market. 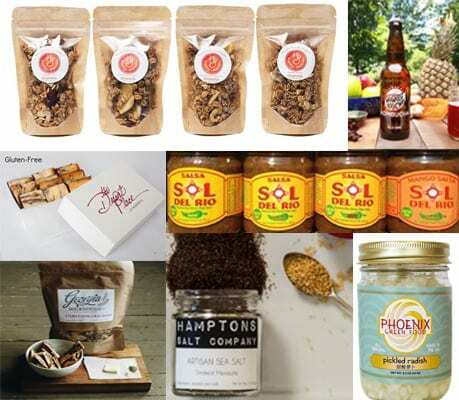 Recently I sent a request to Greg, one of the owners of the market asking for some time to get some advice and opinions on how a grocer feels about local specialty food products. I wanted to learn what they are looking for when selecting the right foods for the market. My goal was to gain a better understanding so I could share this information with PREP Members. I was thrilled when Greg wanted to know about PREP. I could go on all day, however Robin actually gave a wonderful description of what we do here. 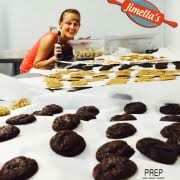 being in the specialty food business herself! Joining us was April Dubois with Mixte Cuisine. April produces a wonderful artisanal flavored Ghee at PREP. When going to the Market, I already knew that they have the best Deli sandwiches around! Mitch and Michele Jaffe, partners at PREP, visit the market often. Greg and Robin shared with me that they love to choose local products. Here are the to 6 areas that all local specialty food producers must be aware of in order to be successful. Consistency of product is most important. Customers expect to buy the exact same product every time. Pricing must be realistic. No doubt that producers want to make money, however keep in mind that purveyors need to make a profit in order to keep their stores open. Producers can’t take the price they sell their products and expect the store to add on top of that. If that small jar of delights ends up with a retail price of 18.00, it may never leave the shelves. Communication is the key. Many people approach the stores with a wonderful product or idea, then are never heard from again. Make sure you can not only run your production, but make plans to have help so you can do the marketing and follow up that is required. Consistent business operations are a must. Set up great systems for communication with markets, calling the stores, receiving orders and fulfilling orders. No shop owner wants to have to tell a customer that they don’t have the product today, and don’t know when it will be in. (Greg shared a story of a product that was promised last Friday. No delivery or communication 6 days later. How about some dedication? Many small producers start out at Farmers Markets, then grow to local markets, then hopefully hit the big time. When you go big time, don’t forget the retailers that supported you in the early days. Make sure those who supported you early on are always well taken care of. Karma is a really good thing! Be serious about building your business. A hobbyist probably won’t be picked up by stores. Producers have to have skin in the game. Markets want to deal with professional folks who are looking to grow a serious business. If you are starting a small business and want it to grow, it takes 110% of your time and focus. Be serious about your product. Packaging and labeling are what sell products. Be unique and don’t skimp on great design. 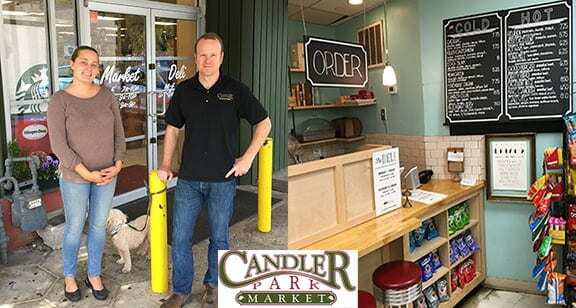 Please go by and support local producers while you check out Candler Park Market. Be sure to thank Greg and Robin for sharing a wealth of knowledge with us! 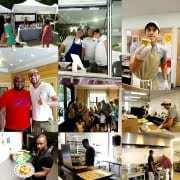 Check out Mixte Cuisine. Be sure and get some of this soon to be famous Ghee! Shared Kitchens, Food Truck Kitchens and More! Garnish & Gather @ PREP Atlanta! Food truck creates jobs for Refugees in Clarkston!